The word “human” does not appear at all in US copyright law, and there’s not much existing litigation around the word’s absence. This has created a giant gray area and left AI’s place in copyright unclear. It also means the law doesn’t account for AI’s unique abilities, like its potential to work endlessly and mimic the sound of a specific artist. Depending on how legal decisions shake out, AI systems could become a valuable tool to assist creativity, a nuisance ripping off hard-working human musicians, or both. For there to be a copyright issue, the AI program would have to create a song that sounds like an already existing song. It could also be an issue if an AI-created work were marketed as sounding like a particular artist without that artist’s consent, in which case, it could violate persona or trademark protections, Rose says. 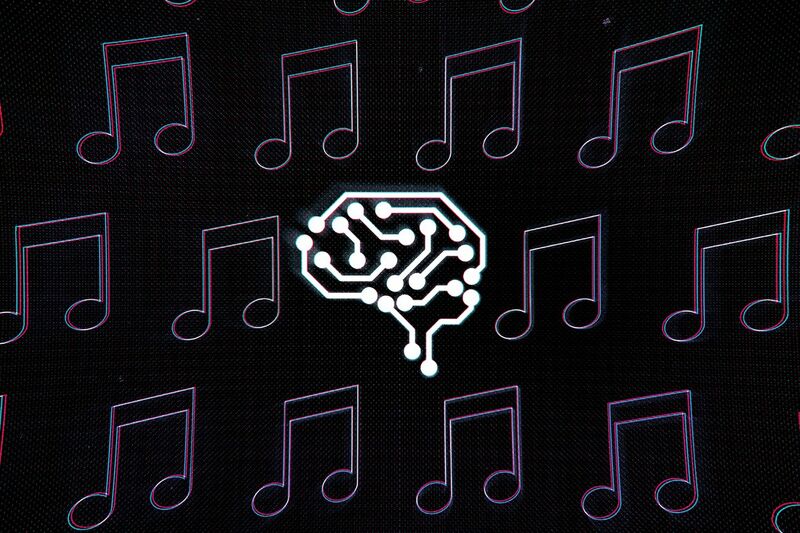 It’s not even clear whether AI can legally be trained on copyrighted music in the first place. When you purchase a song, Mammen asks, are you also purchasing the right to use its audio as AI training data? Several of the experts The Verge spoke to for this piece say there isn’t a good answer to that question. How can anyone prove an algorithm was trained on the song or artist it allegedly infringes on? Even if an AI system did closely mimic an artist’s sound, an artist might have trouble proving the AI was designed to mimic them, says Aimonetti. With copyright, you have to prove the infringing author was reasonably exposed to the work they’re accused of ripping off. If a copyright claim were filed against a musical work made by an AI, how could anyone prove an algorithm was trained on the song or artist it allegedly infringes on? There are scores of lawsuits where artists were sued by other artists for failing to credit them on works, but a company could say its AI is a trade secret, and artists would have to fight in court to discover how the program works. “Getting to that point might only be available to the biggest artists that can afford it,” says Becker. Copyright law will also have to contend with the bigger issue of authorship. That is, can an AI system claim legal authorship of the music it produces, or does that belong to the humans who created the software? Despite this early warning flag, current US copyright law is still vague when discussing authorship of works that weren’t created by humans. For now, lawyers are still grappling with the implications of one ruling, in particular, which doesn’t involve computers or AI at all: it’s about a monkey taking a selfie. The case centered on a crested macaque that picked up the remote trigger for a photographer’s camera and took photos of itself. The resulting debate was over which creator should own the copyright: the photographer who set up the camera and optimized the settings for a facial close-up, or the monkey that pressed the remote trigger and took the photograph. Many outlets used the monkey selfie ruling to discuss implications about artificial intelligence and authorship. If a monkey can’t own a copyright, it goes, then what about a song created entirely by AI? Would authorship go to the humans who created the AI, the AI itself, or the public domain? The Compendium has been updated to note that “a photograph taken by a monkey” cannot be given a copyright. But there’s nothing yet on AI. Endel was able to list its employees as songwriters because, in the US, you only need someone to claim they authored a work. But if there’s pushback — like in the monkey selfie case — authors have to prove that they made the work in question. The same might have to be done for music and AI in order to establish any precedent about how to treat this type of material in copyright law moving forward. And there are a million ways to parse the problem. For now, there are far more questions than there are answers. If you take these problems a few steps further, you get into issues around AI and legal personhood that start to get “existential,” says Rose. Can software be creative? What if an AI software’s creations belong to no one at all?